Neurobiological research helps explain the experience of motherhood. 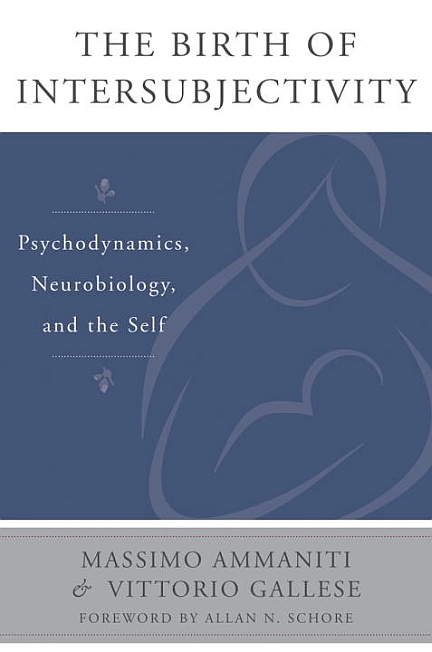 This book, the exciting collaboration of a developmental psychoanalyst at the forefront of functional magnetic resonance attachment research and a leading neurobiological researcher on mirror neurons, presents a fresh and innovative look at intersubjectivity from a neurobiological and developmental perspective. Grounding their analysis of intersubjectivity in the newest advances from developmental neuroscience, modern attachment theory, and relational psychoanalysis, Massimo Ammaniti and Vittorio Gallese illustrate how brain development changes simultaneously with relationally induced alterations in the subjectivities of both mother and infant. Ammaniti and Gallese combine extensive current interdisciplinary research with in-depth clinical interviews that highlight the expectant mother’s changing subjective states and the various typologies of maternal representations. Building on Gallese’s seminal work with mirror neurons and embodied simulation theory, the authors construct a model of intersubjectivity that stresses not symbolic representations but intercorporeality from a second-person perspective. Charting the prenatal and perinatal events that serve as the neurobiological foundation for postnatal reciprocal affective communications, they conclude with direct clinical applications of early assessments and interventions, including interventions with pregnant mothers. This volume is essential for clinicians specializing in attachment disorders and relational trauma, child psychotherapists, infant mental health workers, pediatricians, psychoanalysts, and developmental researchers. It combines fascinating new information and illustrative clinical experience to illustrate the early intersubjective origins of our own and our patients’ internal worlds. Massimo Ammaniti, MD, is a child psychiatrist and professor at Sapienza University. Vittorio Gallese, MD, is a cognitive neuroscientist and professor at the University of Parma, Italy.